Equality kills everything it touches, eventually. So much is well known. It is also realized by regular readers that requiring academics to publish or perish causes them to perish intellectually. The happy news is that the latter of these facts is at last being acknowledged by others. But what if more is bad? In 1963, the physicist and historian of science Derek de Solla Price looked at growth trends in the research enterprise and saw the threat of”scientific doomsday”. The number of scientists and publications had been growing exponentially for 250 years, and Price realized that the trend was unsustainable. 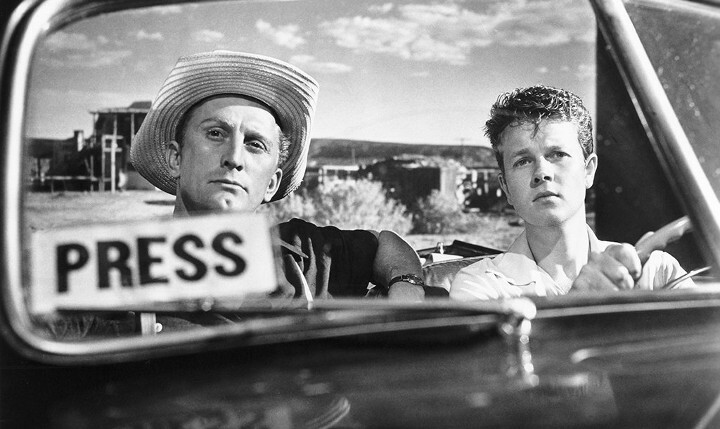 Within a couple of generations, he said, it would lead to a world in which “we should have two scientists for every man, woman, child, and dog in the population”. Price was also an elitist who believed that quality could not be maintained amid such growth. He showed that scientific eminence was concentrated in a very small percentage of researchers, and that the number of leading scientists would therefore grow much more slowly than the number of merely good ones, and that would yield “an even greater preponderance of manpower able to write scientific papers, but not able to write distinguished ones”. So who we should really be hearing from is Price. Alas, that fine gentleman is no longer with us. Sarewitz calls Price an “elitist”, and that is fair enough, but it is a distasteful word to equalitarians, hence we might prefer “realist” to emphasize Equality is anti-realistic. Anyway, here is the what happens. Equality caused the increase in colleges, which caused the increase in students and the professors teaching those students. The requirement that academics publish, married with Equality, caused the massive increase in publishing. Since Equality, though yearned for and believed, is false in fact, the average quality of those publications necessarily decreased. And this might have been fine, because although the average necessarily decreased, the quality at the top might have stayed constant. If you have one man who can jump 8 feet, then the average of jumping ability for this sample of one man is 8 feet. But if you add yourself to the sample, and you can only jump 2 feet, then the average necessarily decreases to 5 feet, though the top man can still jump 8 feet. Mainstream scientific leaders increasingly accept that large bodies of published research are unreliable. But what seems to have escaped general notice is a destructive feedback between the production of poor-quality science, the responsibility to cite previous work and the compulsion to publish. …the web makes it much more efficient to identify relevant published studies, but it also makes it that much easier to troll for supporting papers, whether or not they are any good. No wonder citation rates are going up. That problem is likely to be worse in policy-relevant fields such as nutrition, education, epidemiology and economics, in which the science is often uncertain and the societal stakes can be high. The never-ending debates about the health effects of dietary salt, or how to structure foreign aid, or measure ecosystem services, are typical of areas in which copious peer-reviewed support can be found for whatever position one wants to take — a condition that then justifies calls for still more research. Sarewitz wants scientists to publish less, and so do I. But I don’t think it will happen. Who wants to be the first to reduce his paper count? Surely not an Assistant Professor hoping for tenure, or an Associate hoping for promotion, or a Full hoping or a chair—and all hoping for grants. Systems like this don’t reform, or only reform very rarely. Usually they just collapse. That’s my guess for science. 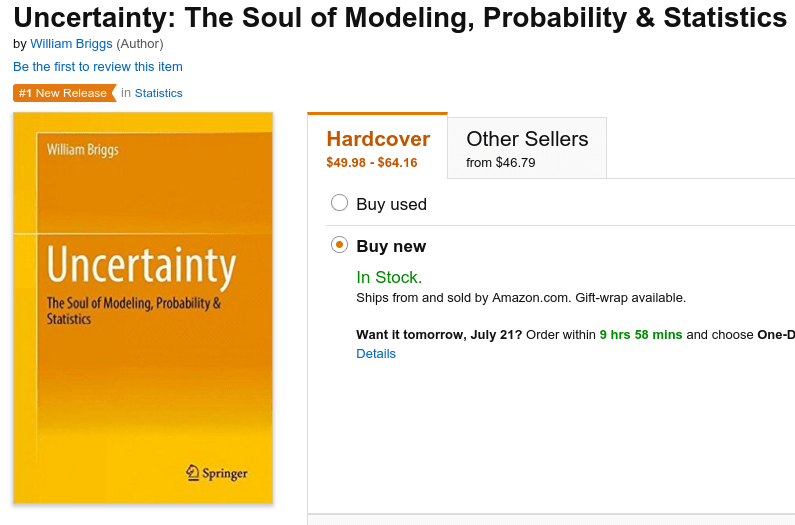 I have more on this topic in the last Chapter of Uncertainty: The Soul of Modeling, Probability & Statistics. Bonus! As of this morning, the #1 New Release in Statistics! Don’t know about scientists, but we certainly have enough personal injury lawyers to completely destroy modern society and they are giving it their best. They seem to outnumber scientists or we wouldn’t be getting the huge, idiotic settlements now seen. Perhaps fewer lawyers and more scientific understanding in the general population. The increase in colleges also results in a complete dumbing down of college until it is little better than 8th grade used to be. Ah, yes, dueling links. I know them well. I can cite 100 papers supporting my position and you can cite 100 papers supporting yours. Never shall the actual data, methodology, or anything else be examined. Vonnegut wrote some good short stories and Harrison Bergeron makes the point nicely. Equality is anti-realistic. Nowhere in nature is it found for long. Variety, diversity, inequality are the rule. If there were no inequality there could be no progress. Ironic that the Equalitistas can’t see it. Interesting observation. Did the founders of the University of Bologna in 1088 require all of its instructors to publish learned papers in their areas of expertise? “Areas of expertise” indeed! Hah! They had areas of expertise, of course, which meant that they were all generalists who had slightly more interest or reading in one field of study than the others. Surely those academics had published at least one paper, establishing their suitability as an instructor? We are all better off for science, and, we and future generations will be further better off for science to come. There’s always some erroneous, even falsified, work and just as it always has the junk will get sifted out & ignored and the findings that are correct and useful will persist. The fatal flaw in Briggs’ outlook is his academic ivory tower point of reference – from which logic, rationality and philosophical sensibility form the basis of evaluation. Out in the real world thing work very differently. Finance, applied economics, rules – science with a practical purpose that can be marketed and from which profits can be generated is pursued & exploited. Science, in other words, does not operate in an academic vacuum, it proceeds & persists via capitalistic free markets (governments can gum things up a bit, but overall & long-term this proves time & again to be surprisingly limited in effect; even tyrannical governments & their sponsored philosophies masquerading as science (e.g. Soviet Lysenkoism) eventually collapse under the weight of their failures…but real science plods ever onward…). Junk science that amounts to nil of the sort Briggs invariably pounces on will, long-term, be ignored in bookshelves & cyberspace, marginalized to obscurity and influencing nothing of any real consequence. What Briggs & his ilk ought to be doing is studying the free market applications of Clausewitz and Sun Tzu – that’s how industry operates (and industry drives much of the forward progress of science via funding and applying results to products that can earn a profit). Then he/they would appreciate why industry routinely sponsors & publishes research that leads to R&D dead ends, why they don’t obtain patents (those put intellectual property into the public domain), etc. The dirty fact is that science survives in concert with economics [and capitalism], and economics employs ruthless culling of the ineffective, along with denial & deception tactics that are fundamentally the same those used in warfare. Ken informs us that you have an ilk. How does one go about acquiring an ilk? I’ve always wanted one. I’m not greedy. I would accept a small ilk. I promise I would take good care of it. You’d never know it was there. Please, can I have one? I’ve had an ilk, way before it was cool. No ilks were harmed in the writing of this post. And some people still believe science isn’t dead……. Well, maybe we should go back to the time before 1940, when government support of science (and academia) was minimal. Private funding (self or foundations) sufficed. Colleges/universities were smaller and fewer, and quality rose to the top like cream to unhomogenized milk. According to Merriam-Webster, ilks have been around a long time in the wild. Looks like the Scots domesticated them, with further breeding by the English. The Old English pronoun ilca is the predecessor of the modern noun ilk, but by way of a pronoun ilk that does not exist in most dialects of modern English. That ilk is synonymous with same, and persists in Scots where it’s used in the phrase of that ilk, meaning “of the same place, territorial designation, or name.” It is used chiefly in reference to the names of land-owning families and their eponymous estates, as in “the Guthries of that ilk,” which means “the Guthries of Guthrie.” Centuries ago a misunderstanding arose concerning the Scots phrase: it was interpreted as meaning “of that kind or sort,” a usage that found its way into modern English. Ilk has been established in English with its current meaning and part of speech since the late 18th century. I have heard the ilks bugling in Rocky Mountain National Park during rutting season. Got ilk? No, sadly for me, just ookies. Sheri – I can’t argue with Obama’s calling his signature health care law the “most important health care legislation enacted in the United States since . . .”; Hitler had his Ermächtigungsgesetz, which also proved most important. Bob Kurland: Those ilks sound adorable! Milton Hathaway: True—Obama is very good at making that which is divisive and destructive sound like a warm fuzzy desirable thing. Fooled people twice with the move. You’re thinking of Moncrieffe o’ that Ilk, aren’t ye?